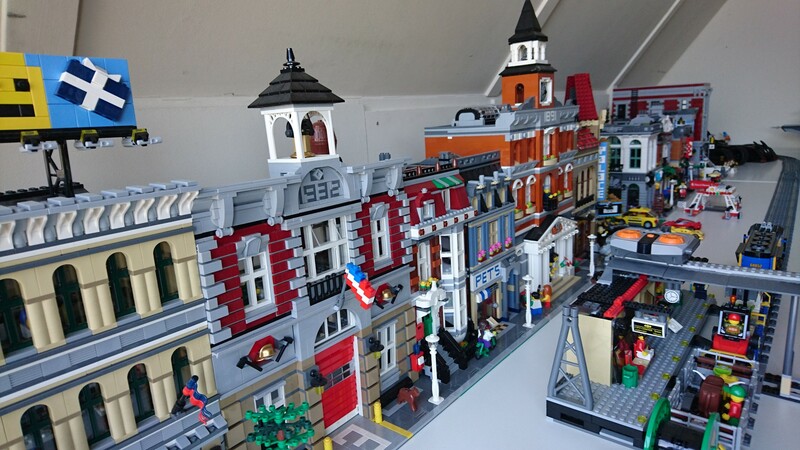 I am a huge fan of LEGO sets for ages 16 and up, and I own most of the modular houses, with some other sets on the side. 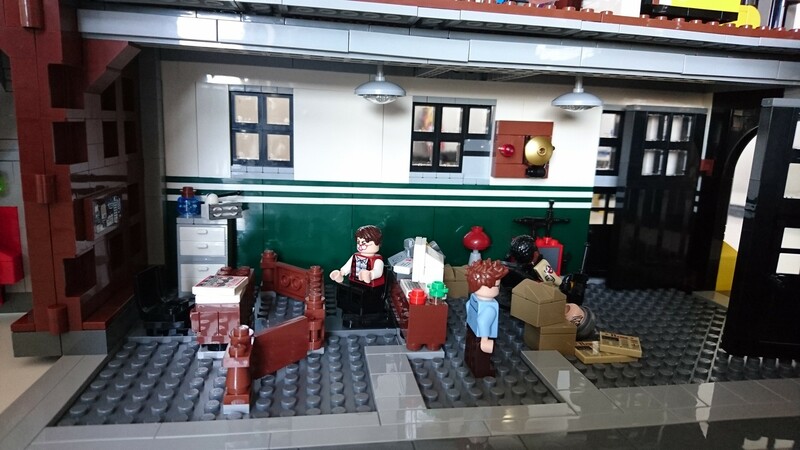 One of the sets that I just had to have was the LEGO Ghostbusters Headquarters. 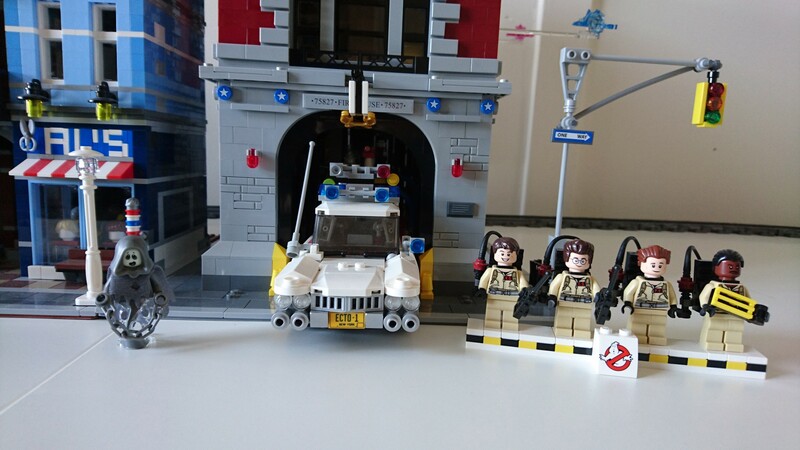 I figured it would look great next to my modular houses, and I already owned the LEGO Ideas ECTO-1 car (which barely fits inside of the Headquarters, but it fits nonetheless). Because of that, and the fact that it has 4634 pieces, I just had to buy it! 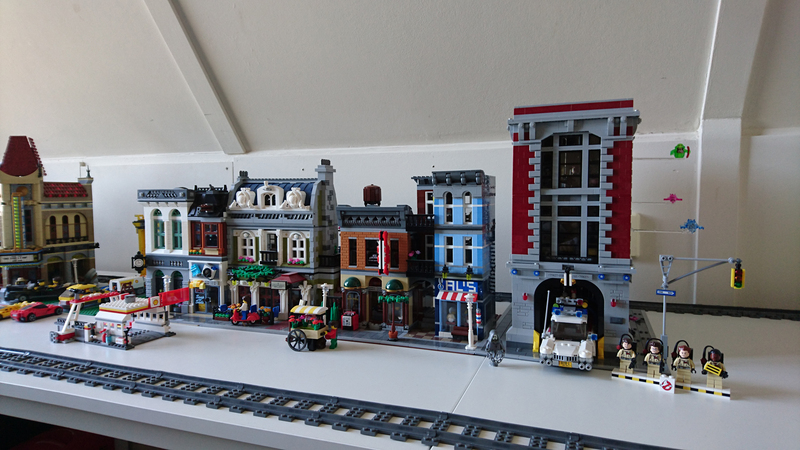 It is the biggest LEGO set in my possession so far, and it will probably stay that way for quite some time. It also holds the 3rd place of biggest LEGO set's ever, which is kind of awesome. The only sets which are bigger are the LEGO 10179 Ultimate Collector's Millennium Falcon with 5197 pieces, and the LEGO 10189 Taj Mahal, which has 5922 pieces. The set comes with 9 minifigures and 3 ghosts. Most of the minifigures have double sided head prints, which can give them a scared/angry facial expression next to their regular expressions. You also get an additional head for Tully, and a hair piece for the Library ghost minifigure. Obviously you get slimer with this set, along with a pink and a blue ghost. The building can be opened in 2 ways. 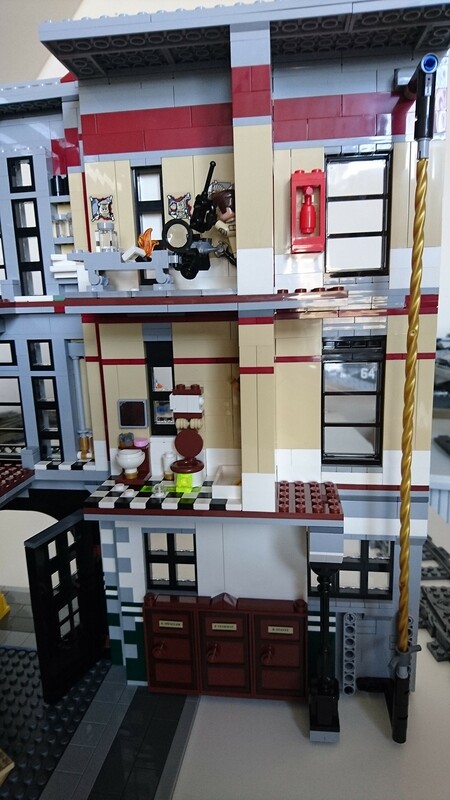 You can remove the floors, just like any of the modular buildings, but you can also open it in a dollhouse kind of way. 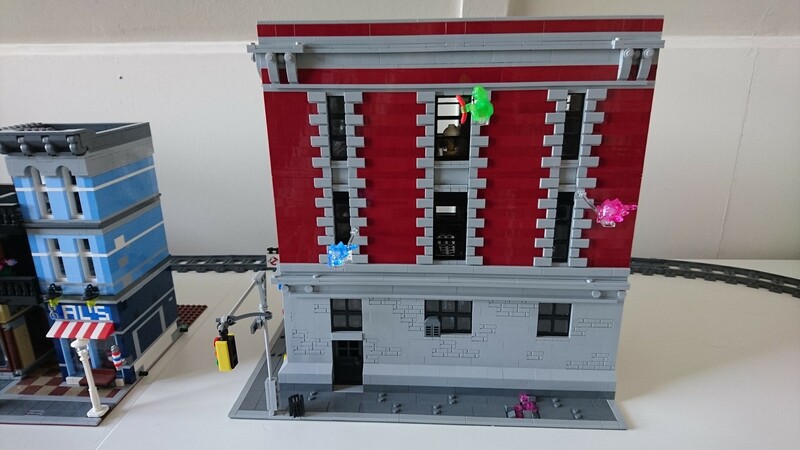 The side of the building can be opened, so that you are able to see the entire inside of the building without removing any floors. This makes it easier to play with the set.You could also choose to put it on display with the sides opened. that way other people will be able to see just how detailed the inside is. 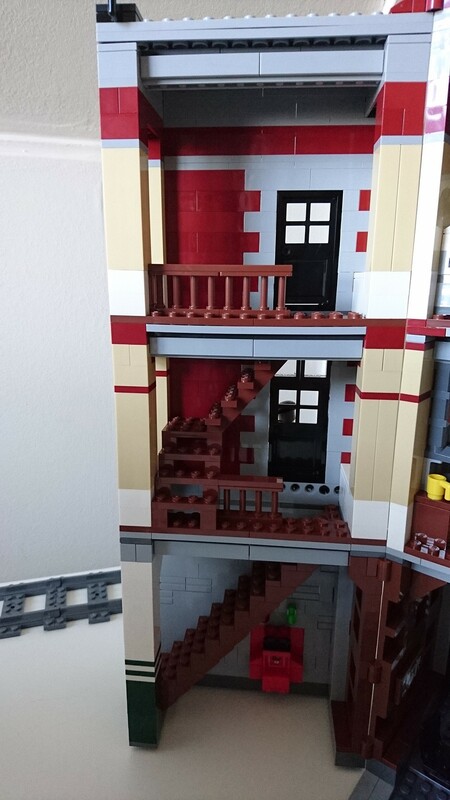 The inside of the set is extremely detailed. 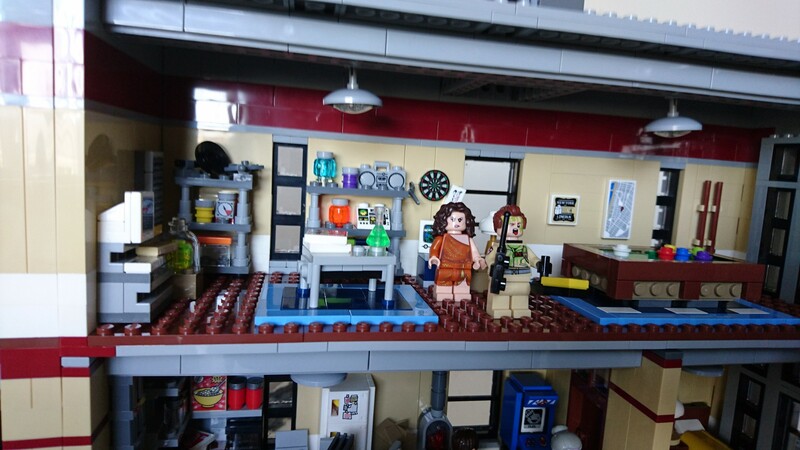 It has a lot of rooms with computers, an arcade game, a laboratory, a fully stacked kitchen, a garage for the ECTO-1 car, a reception, a bathroom and of course, the fire pole. 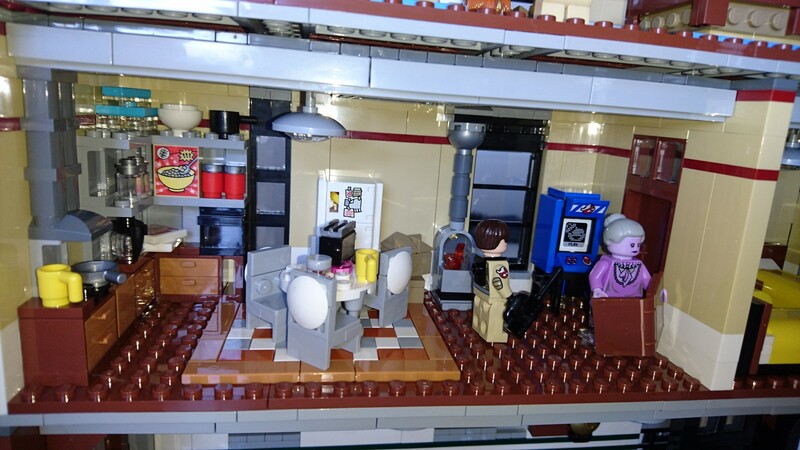 The front part of the main floor can be used to store the ECTO-1 car, which was sold separately by LEGO. You will have to move some items further back to make space for it though, and it barely fits through the main entrance door, but it looks real nice when you place it in there. 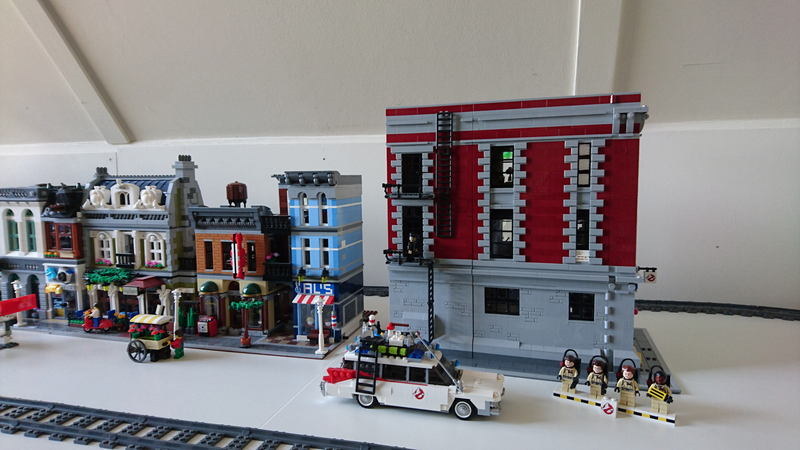 The Ghostbusters Headquarters is a bit smaller in width than most modular houses, because of the sidewalks on both sides of the building. The length is about 1.5x the size of a normal modular house. 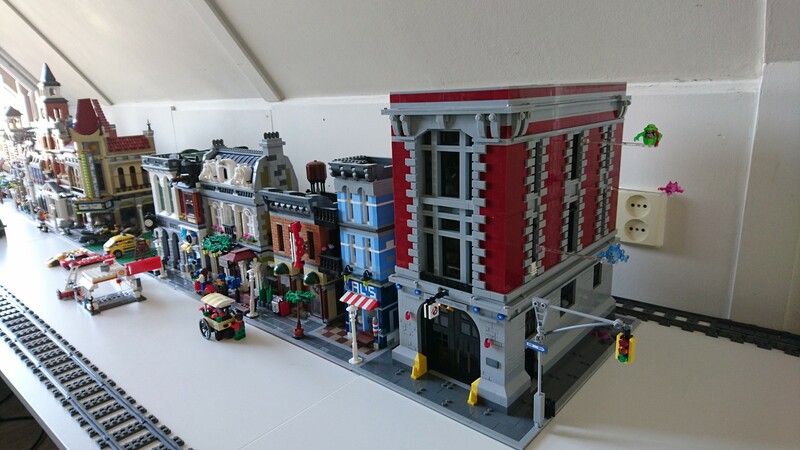 It's taller than most modular houses, with the exception of LEGO Town Hall. 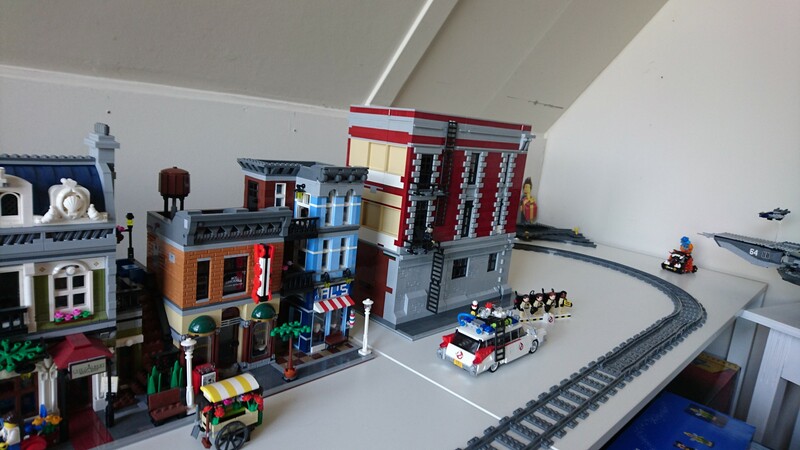 In my opinion it looks good enough to put it somewhere in your modular street though. The ghosts on the side of the building can easily be taken off and placed somewhere else. you even get spare tiles to fill up the holes if you decide to take them off. they can be put on either side of the building, next to any window. I think it's a great set. 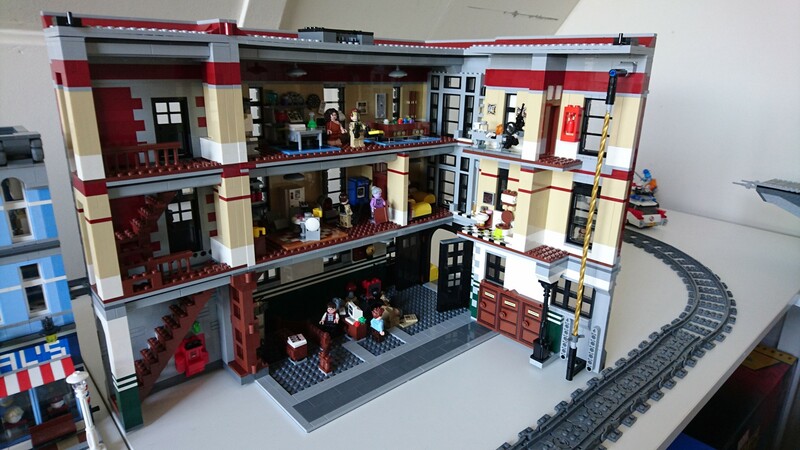 It is definitely a must have for all modular collectors, even though it's not an official modular building. The only thing I didn't like about this set was the amount of stickers. It has 23 stickers, which is a lot. On the other side, this set would probably cost a lot more if all those tiles had to be printed.